The special Haftarah selection (reading from the prophets) for the festival of Sukkot (English: Tabernacles or Booths) is especially fitting. You may be aware of the great interest in the rare coalescing of several celestial and religious events happening at this time. 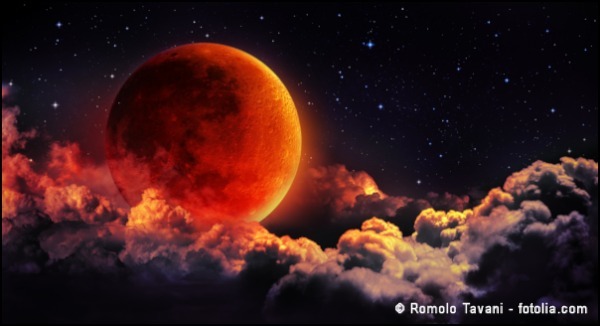 The first evening of Sukkot this year (evening of September 27) is being marked by a potentially remarkable full lunar eclipse, referred to as a blood moon due to its telltale reddish color. It’s remarkable due to the full moon being the largest of the year. Four to six times a year we get larger than normal full moons, called supermoons, due to the moon’s closer proximity to the earth, but this one is the closest of the last 12 months. That in itself isn’t remarkable as it is an annual occurrence, but that it is also a full lunar eclipse – the first supermoon full lunar eclipse in over thirty years – has the potential of making it a spectacular sight. What has caught the attention of some students of the Bible is that this Sukkot lunar eclipse is part of a tetrad, which is the technical term used when four lunar eclipses in a row are all blood moons. What makes it more interesting is that the other three fell on the last two occurrences of Pesach and last year’s Sukkot. Some claim that tetrads, especially when they fall on Jewish festivals, coincide with extraordinary events that significantly affect the Jewish people. But what does this have to do with our Haftarah portion? There’s no reference here to anything to do with moons at all. Well, as it turns out this passage has often been interpreted as describing a catastrophic scene that marks the end of the world as we know it, the kind of thing that may coincide with our super blood moon. Here we read about Gog and Magog, who come against the Land of Israel, but unknowingly have been drawn on their destructive quest by God himself, who through several cataclysmic events utterly destroys them. The result is that both Israel and the nations know who God really is once and for all. Will the events of Ezekiel’s prophesy begin to unfold in the next few days? Might the super blood moon be a sign that the end (or the beginning of the end) is upon us? That is extremely possible, and I’ll tell you why. Judgement is coming. Maybe it’s already here. Maybe things are going to take a turn for the worse. Or maybe it will get better before it gets worse. Maybe your life is already as bad as it will get. Or maybe you had it too good for too long. I don’t know. But what I do know is that at some point you and I will have to give an account for our lives. Every deed, every thought exposed, scrutinized, and judged. Judged by the Almighty. The rightful King is coming. He was already established as such following his death and resurrection. Since then he has been extending his rule by his Spirit, through his people, calling everyone everywhere to get right with the God of Israel before it is too late. For many it is already too late. The dead care little about blood moons and prophetic predictions. Perhaps you care too much. Are you more interested in prophetic speculations then you are about getting ready to face your Maker? If you are reading this, then it’s not too late. The first evening of Sukkot promises to be spectacular, depending on where you live and if the sky is clear. But think of how much more spectacular it will be if through the Messiah Yeshua, you got your life in order. Then again, perhaps, you’re doing okay. Really; I’m not making fun. You may truly be one of the humble ones with a heart open to the will of your heavenly Father. You’re ready for the end. You have nothing to be afraid of. Still, perhaps this is a good time to ask your King, “Is there anything I have left undone?” You never know, God may want to make you a greater sign than a super blood moon. Might we be in unusual times? Of that I have no doubt. Are we on the brink of some catastrophic event? We might be. But does it really matter whether the end is nigh or only yours? Read the signs and get right with God before it’s too late. When I first read this passage in this translation, I found it jarring, because I was used to hearing, “all his ways are just.” If you look at a list of various other English translations, you will see an assortment of words used, such as fair, right, righteous, just, judgement and the one used here, justice. The Hebrew word is “mishpat,” which indeed means justice, which is a noun, but in English it doesn’t sound right. The phrase more naturally lends itself to using an adjective, the way I am used to hearing it. But to make the text read, “God’s ways are just,” gives the impression that his ways simply possess a just quality to them. While that is true, what mishpat expresses here is much more than that. Regardless of the sound English prefers, God ways are in and of themselves justice. Let me try to explain. If I said “smoking is harmful,” harmful being an adjective, then I am saying that smoking has a destructive quality. How it causes harm depends on how people relate to it (smoking or breathing second-hand smoke, for example). But if I say instead “smoking is harm” (which sounds strange, of course), I am claiming that smoking’s harmful quality is essential to its essence, and that its existence in and of itself brings about harm regardless of how people use it or relate to it. Whether or not smoking is truly that I will leave to anti-smoking advocates to decide. So when Moses says God’s way are mishpat, it is not only because his ways have a just quality to them, but that his ways are in and of themselves justice. It is not as if they are shown to be just only when they are followed as when we follow good advice. Rather God’s ways establish justice by their very existence alone. How this works becomes clearer when we understand that God is personally invested in his word. By his power his ways are actively at work in the world, confronting evil and leading people in the path of righteousness. No wonder the writer of the New Covenant book of Hebrews states, “For the word of God is living and active, sharper than any two-edged sword, piercing to the division of soul and of spirit, of joints and of marrow, and discerning the thoughts and intentions of the heart” (Hebrews 4:12). One might argue that the word of God cannot function on its own, but rather requires someone somewhere to communicate it. While this is normally the case from personal conversation to preaching to writing to broadcasting, we need to realize that the power of justice in God’s ways as communicated through these methods is far more dependent on God than we may think. It is God who uses people to communicate his word, and it is God who makes his communicated word effective. Our friend was sleeping when the ways of God provoked the other person to wake her up, resulting in repentance. The other party was in collusion with death and destruction. God’s word, which appeared to be just lying there doing nothing was actually living and active as it pierced the heart of that up-till-then confused soul. 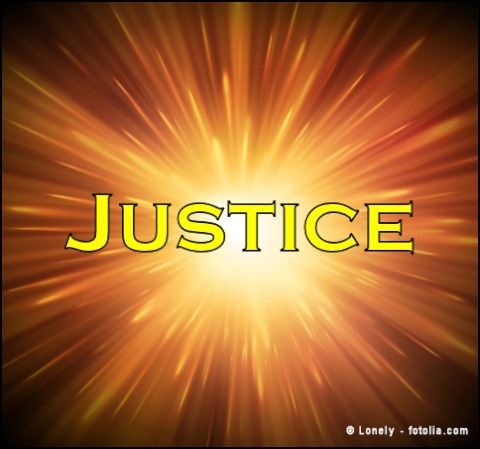 Mishpat, justice, is a living force, given to the world as a gift of God through the revelation of Scripture. And as it is living and active, there’s nothing you can do to stop it. Perhaps it’s time to embrace it. But what constitutes being abundantly prosperous? What may come to your mind is likely very different from the intention of the Torah here. Perhaps to you prosperity is an economic state whereby no matter how much you need or want, you always have extra. It’s a sense that whatever happens, there is always more financial resources to draw on. The biblical understanding of prosperity is very different. It’s having enough for yourself and those dependent on you, plus a little more to share with those in need (see Proverbs 30:7-9; 1 Timothy 5:8, 6:6-10; Hebrew 13:16). Biblical prosperity is not about how much stuff you have or the size of your bank balance. You could have an enormous amount of goods and money, but still not really be living well. The prosperity here refers specifically to “the fruit of your womb and in the fruit of your cattle and in the fruit of your ground.” You could have all the money in the world, but unless living things thrive, both human and animal, and there is sufficient nutritious food to eat, we are not really living. Societies that only focus on self and do not adequately work towards the emergence and thriving of future generations will die. So ultimately prosperity is not about me and what I have, but the blessing of provision for the furthering of God’s creation long-term. 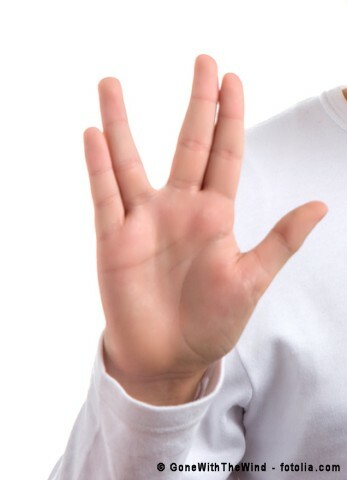 What will it take, then, to “live long and prosper”? Our passage tells us, “When you obey the voice of the LORD your God, to keep his commandments and his statutes that are written in this Book of the Law (Torah), when you turn to the LORD your God with all your heart and with all your soul.” It’s tragic that there is so much misunderstanding regarding a command such as this. For some it is clouded by humanly derived traditions that add or replace God’s expressed intentions. Others confuse godly directives with a misguided system that bases God’s acceptance on performance. The whole Bible understands true godliness as an outcome of sincere trust in God. Those who are truly faithful to him have a heart to obey him in every way. To disregard God’s ways leads to anything but prosperity. God wants us to live a full and abundant life (see John 10:10). But in order to have the quality of life he desires, we need to embrace his version of what life is really all about. Redefining biblical prosperity along the lines of greed and covetousness undermines the abundance that God has for us. Similarly claiming fairy-dust notions of grace that disregards God’s directives in Scripture may numb the effects of deception for a time, but in the end profits absolutely nothing. However, if we embrace God’s version of what prosperity actually is and diligently follow his ways as outlined in Scripture, then we will indeed thrive both in this life and in the age to come forever.